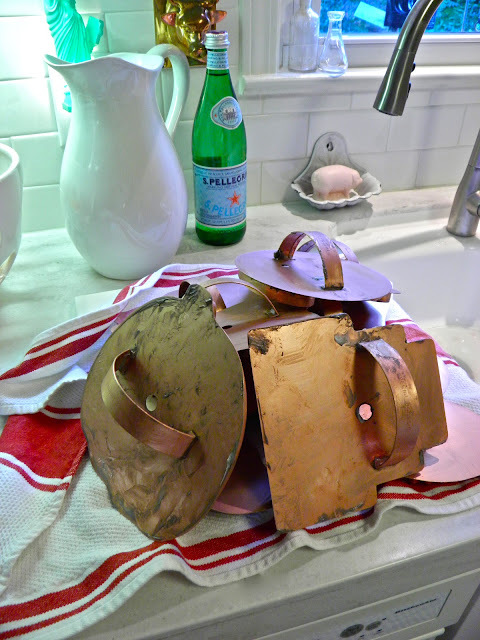 so I decided to go on a little copper cookie cutter polishing binge! 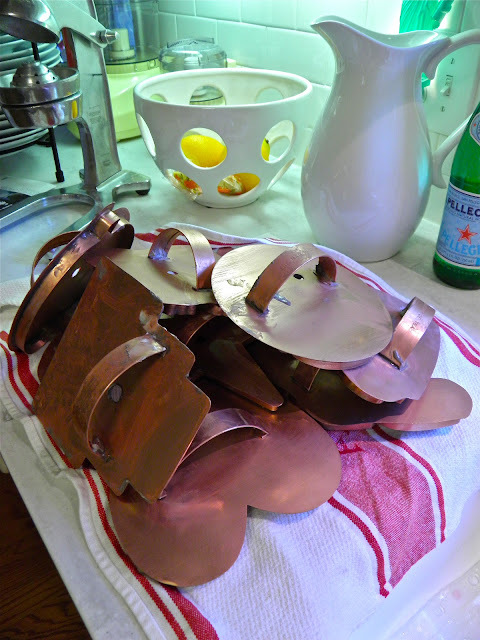 giant copper cookie cutters. Tell me, how much do we miss Martha by Mail? quality products that were once offered through the Martha by Mail catalog! marked just .50 cents each, of course... Hey! A girl has to have dreams, right? how I will measure their fitness to be my daughter-in-laws. So not kidding! managed to stock-pile. Seriously, I can't even explain how that happened! Wow those are gorgeous cutters! !I love that you could hang them with the hole in the center. They would look gorgeous up on my kitchen soffit! You should try and do something with the pumpkin, bat and moon for Halloween. You are indeed forming a sizeable collection of these cutters, I'm very impressed! I completely understand your wanting to hand these down to the next generation of bakers and not just anyone. I think part of the thrill of antiquing and collecting is finding these cutters, among other things, when one least expects it, either online or at an antique store. Have fun collecting Janet!! Oh my what a beautiful collection. It doesn't matter if you have them all. At least you have some and appreciate those you do have. You always take such good care of your things you cherish and I can agree that it will take a special kind of girl to follow in your footsteps. I'm sure the boys will look for a girl like Mom. I sincerely hope they find one as no one could ask for a better person than you to fill your shoes. Anywho your kitchen always sparkles with a beauty unprecedented by others that I've seen so, I see nothing but sparkling copper cookie cutters to go with it. Would love to see some pumpkin cookies done your way. You don't just make cookies, you make art. OMGosh Can you hear me!! I have some of Martha Stewart copper cutters. I so L O V E them. I'm jealous. I see an owl. Hoot Hoot. I want one. My fav. is the moon. I love to use them at Christmas but it takes so much dough. Well you've just made a gal that is getting over a yucky cold feel the zing of fun. Thanks. Gotta look into getting an OWL. I still haven't opened my closet to see what cookie cutters I have from Martha. I believe star, moon, I believe a snow flake. I can't remember. I love to use them. Happy baking. And your pics of the fall leafs are so pretty. I'm having trouble getting into my downloaded pics. Si I haven't blogged much. 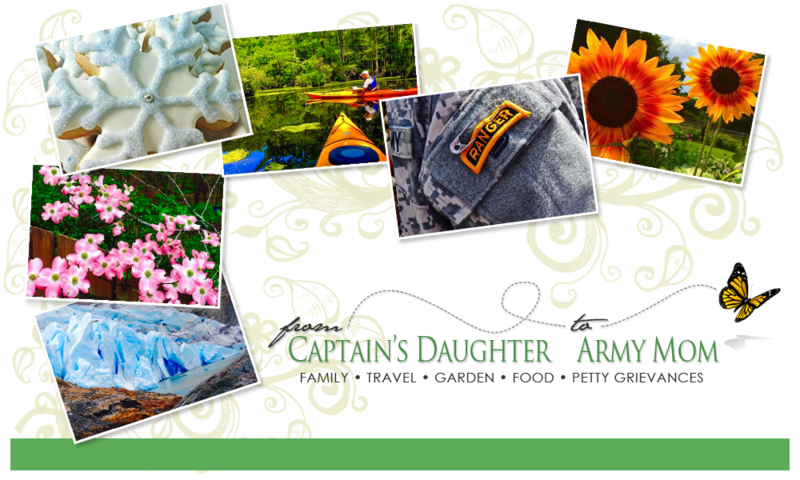 Pictures make the blog much better. Have a blessed sunday. Does anyone have a list of all the cutters made? Looking for just the large ones that were sold as pairs. I have a lot of them and want to complete all set of two's. These large cutters are very good things. I bought two of these cutters years ago and it came with a cookie recipe. By far it is the best sugar cookie recipe I have used. But I've lost it. 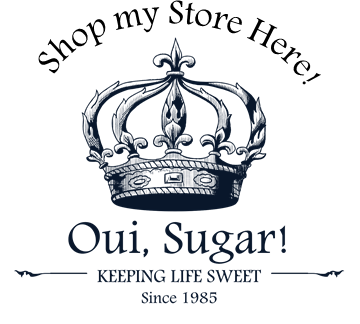 Does anyone have a copy of the original sugar cookie recipe that came with the cutters?